I’ve been following a virtual blog tour for author Craig Lancaster. Lancaster took a “nontraditional” path to publication for his novel 600 Hours of Edward , and has some interesting insight and a story many aspiring writers can learn a lot from. 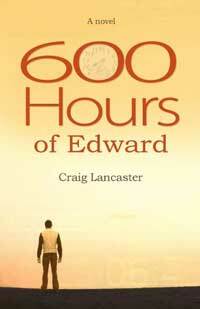 You’ve had quite a journey in getting your book, 600 Hours of Edward, published. Anything you wish you would have done differently? I’ve tried to resolve not to have a regrets, because it’s unseemly. My experiences have been uniformly wonderful, and I’ve managed to get published, and I know how hard that is. That said, I can’t help but wish I hadn’t been in such a hurry to initially release the book myself through CreateSpace. I might well have come to that decision anyway, but I certainly could have done so while finely honing the book and having a killer cover right out of the gate. The transformation of my book from badly executed self-pub job to beautiful, crisp trade-published novel was a bit too public. Tell us about the book. It sounds like a wonderful story. What do you hope readers take away from it? 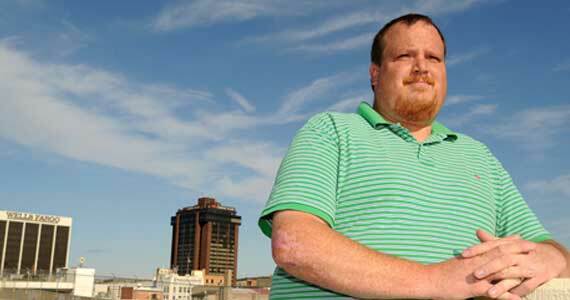 The book tells the story of Edward Stanton, a man in his late thirties who has spent a lifetime struggling with Asperger syndrome and obsessive-compulsive disorder. It’s affected everything — his relationship with his parents, his ability to hold a job, his willingness to make friends. Over the course of 25 days, things start happening to Edward and around him, and the book accounts for his journey through all of the things he’s kept his distance from for so long. I’m naturally drawn to slice-of-life stories, and so I wrote with nothing more in mind than telling a good story. Some of the people who’ve read the book and been kind enough to share their impressions with me have called it funny and heartwarming, and that’s wonderful, but I didn’t make a calculated decision to manipulate emotions. The heart of the story grew of its own volition. Do you feel your career in journalism helped you remain persistent with finding a market for your book? Journalism taught me to focus on seeing a piece of writing through, which is difficult enough when you’re writing at novel length. My persistence in trying to get 600 Hours of Edward in front of readers and a publisher was rooted more in the response that I got from readers. It’s been really gratifying to know that Edward means so much to the people who read about him. Best memory you can share so far about the long process of getting 600 Hours of Edward to the place it is today? The day I opened my package of contract-mandated copies of the book was pretty amazing. Riverbend Publishing, my publisher, built a beautiful book and have been really committed to pushing it into the marketplace. That day, looking at the fruit of the labor, seemed simultaneously like a milestone and a starting line. It was invigorating. This is a nearly impossible question to answer, but I’ll give you an out-of-left-field answer: It’s a book called Populuxe by Thomas Hine. It’s all about the post-war culture, when everybody moved to the ‘burbs and washing machines became fashion statements. Hine deconstructs an era and offers a sentimental journey through a unique time in American life. I’ve always had a thing for the ’50s; as a guy born in 1970, I’ve often felt as though I was born 20 years late. Another tough question. There’s no doubt that Hemingway was the first author to wrench open my head and make me think about writing as a way of life. My late teens and early twenties were filled with pathetic attempts to mimic him and other writers I admired, like Steinbeck and Ivan Doig. It took me a while to figure out that I’d be better off finding my own voice and being the first me rather than a poor knockoff of the Great American Author. Another Riverbend book, The Bottom of the Sky by Bill Pack. It’s impressive. I work best in the wee hours, between midnight and 3 a.m. The house is dark and quiet, my wife and the dogs are asleep, and it’s just me alone with the keyboard and my thoughts. I believe it in it to the extent that I know it afflicts some people. I’ve never suffered from it — knock wood — and I think I would deal with it simply by writing, no matter how craptacular the words. Progress is progress, even if you have to go back later, when the episode has passed, and redo what you’ve spilled onto the page. Setting aside the coldly financial answer of sold books and big royalty checks, I’d say that I never feel so successful as when someone takes the time to tell me that what I’ve written meant something to them. That’s the completion of the circle. It’s the best feeling in the world. A well-established writer who was generous with his advice told me this: “I’ve never heard of a success story that didn’t involve persistence.” I think that’s dead-on. If you want to be a writer, write. Protect your writing time in the same way that you’d protect your family. Do what you can to get better. And keep taking your shot. There’s no other way to get where you want to go. You can find more than you’d ever want to know at my Web site, www.craiglancaster.net, and I also maintain a fairly robust blog at http://craiglancaster.wordpress.com. My book is available at Amazon.com . (Note: As I write this, the Amazon page erroneously says 1-2 months to ship; try 1-2 days. We’ve taken up the error with Amazon and are waiting for the correction to be made.) It’s also available direct from Riverbend Publishing (www.riverbendpublishing.com/600hours.html) and can be ordered from your local bookseller if it’s not already on the shelves.